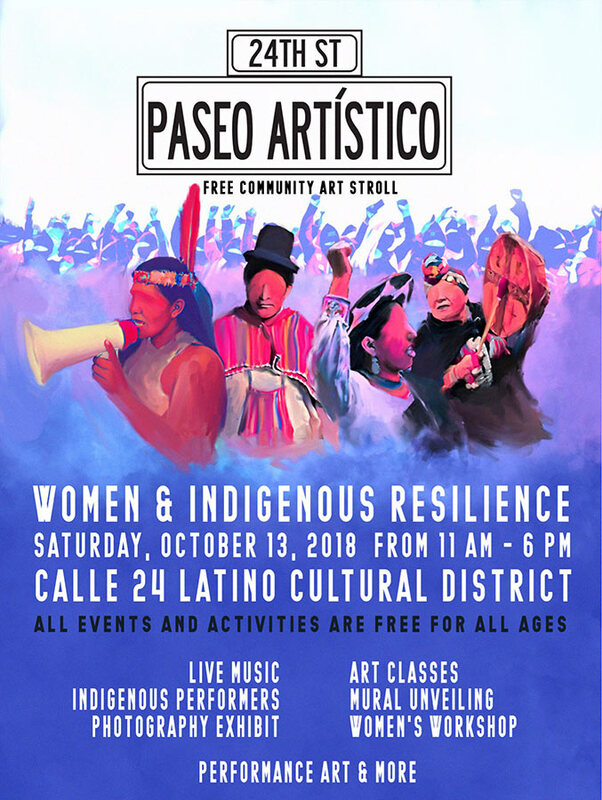 Saturday, Oct. 13 • 11 a.m. – 6 p.m.
October’s Paseo Artistico will celebrate Indigenous People’s Day with local artists of Indigenous ancestry showcasing work in different mediums that highlights the power and leadership of women in the Mission District community. Paseo is partnering with Precita Eyes and Balmy Alley Block Party to feature the unveiling of local muralist Lucía Gonzalez-Ippolito’s new Women of the Resistance mural. Paseo is also partnering with Plaza 16 Coalition to help ensure more affordable housing opportunities in the Mission. For more information about Paseo please go to PaseoArtistico.org or join the Facebook event page.